3 Bedroom Semi Detached House For Sale in Leicester for Offers Over £260,000. 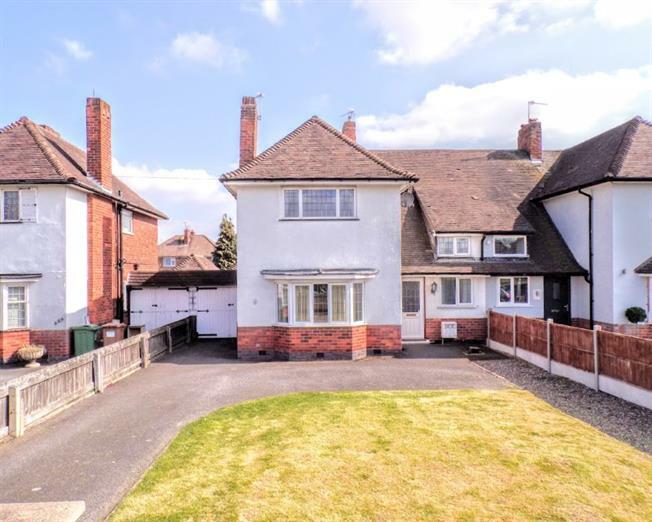 This appealing three bedroom semi detached, occupies a sizeable plot and is generous in proportions throughout. The property has been extended to the rear and has a modern kitchen and bathroom. There are three double bedrooms with fitted wardrobe and the ground floor has a WC that has been adapted to act as an en suite. Other man features include gas central heating, double glazing, fitted kitchen appliances including electric oven, gas hob, dishwasher, fridge and washing machine, garage, carport, sizeable driveway parking, built in storage and paved patio. No chain.